In this article we'll be covering how to pre-populate a background within a sketch question. This is possible using resources and JPEG / PNG images are the two options of file types you can use. This is useful for when you have a diagram you want the user to sketch on top of. 2. Click on "Select Resource" for the "Background Resource" property on the right hand side of the screen and either upload a new PNG / JPEG or select a previously uploaded resource from the "File List". 3. Save your form, close and open the app on your mobile device and your sketch question should now have a background when you open it. 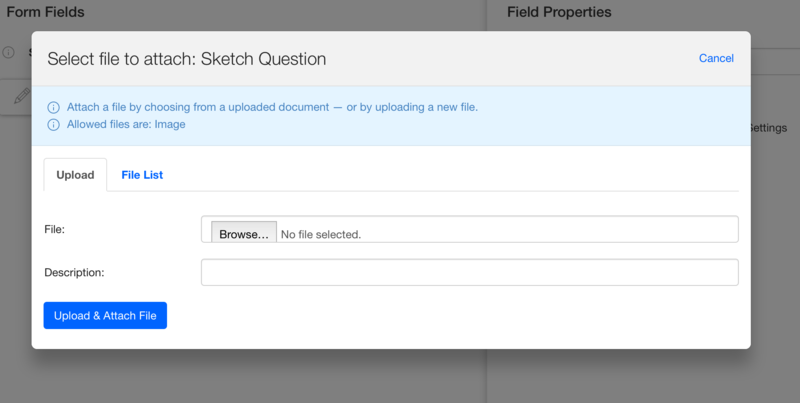 This concludes our overview of adding a background to a sketch question. If you have any questions or comments feel free to send us a message at support@devicemagic.com or leave us a comment below.